To mark the one-year-ish anniversary of the Bronx Food Summit (which took place on May 1, 2010) several Bronx groups are organizing a Bronx Urban Farm Tour and stopping at several locations in the Bronx. The day will include workshops on seeding and composting and live music. The tour starts in Manhattan (part of an effort to drum up tourism from other boroughs), but if you live in the Bronx, you can go straight to the farms. Below is a schedule of events. 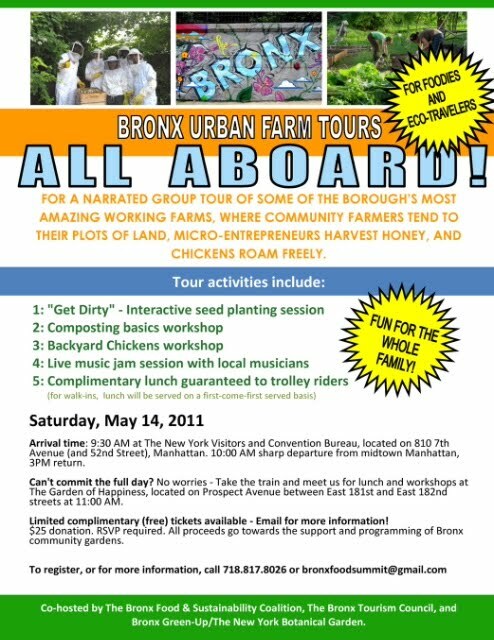 The Bronx Tourism Council is the main organizer, and along with the Bronx Food and Sustainability Coalition, Bronx Green Up and the Botanical Garden, are planning monthly farm tours through out the summer, so stay tuned for more details. 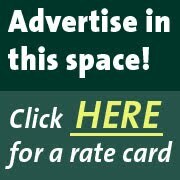 You can also visit www.ilovethebronx.com for updates. Join the tour at its first stop at this three acre farm. The Borough President will speak and an organic lunch will be served on a first come first served basis. Lunch will be provided by the Peace Love Cafe in Melrose.